We offer Industrial feeders that are flexible enough to handle wide variety of materials, in extreme temperatures and conditions. We offer these as per the specifications laid by the clients. The vibrations are generated using electromagnetic or un-balance motor. The amplitude and frequency of vibration is selected at factory for different applications. 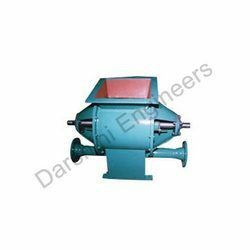 We have achieved an eminent place in the marketplace by offering an extensive range of Vibrating Feeders that is made by applying modern machinery & tools. In addition to, we are sourcing utmost quality raw components. These vibrating feeders are known for their reliable performance, endurance level and non-corrosive finish. The entire vibrating feeders that we offer to our customers is made at our high-tech infrastructural base from where we can easily procure & process as per the latest market trends. 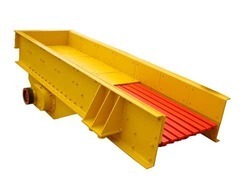 The wide array of Coal Vibrating Feeder manufactured, exported and supplied by us in various dimensions and capacities. Our offered products are made in accordance to the latest market trend and by using utmost quality of raw material which ensure durability when applied to the main application area. A great demand is there for this product which are praised by large number of customer’s from all over the nation. In addition to this, we make sure these products are made available by us at affordable prices. 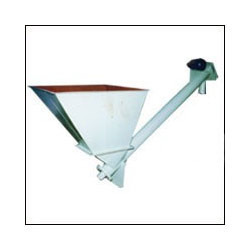 Since the day our firm’s foundation laid in the market, we are manufacturing, exporting & supplying a large assortment of superior quality Rotatory Feeders. We have grown exponentially in the market and known to provide utmost quality rotatory feeders to our specialized customers. By taking care of the every single need of our customers we apply modern machinery & tools in the fabrication of offered rotatory feeders. Our range of Screw Feeder is quite famous in the industrial tools & equipment market, as we manufacture, export and supply them in wide varieties. In addition to this, for us to fulfill the requirement of our customers prominently is a challenge that we accomplish appropriately. For us, our customers are premier and we cater to them with immense care by taking of their each & every needs & requirements. Moreover, for us quality is the main concern for that we have managed best testing system at our base, to ensure delivery of completely defect free range of trolleys. We are introducing our client wide assortment of Table Feeder, which is manufactured under the guidance of quality oriented professionals. Our offered product is extensively used for extracting and feeding the free flowing powdery and small lumpy material. Table Feeder is appreciated amongst customers for its sturdy construction and long service life. Furthermore, we made it available at nominal price.